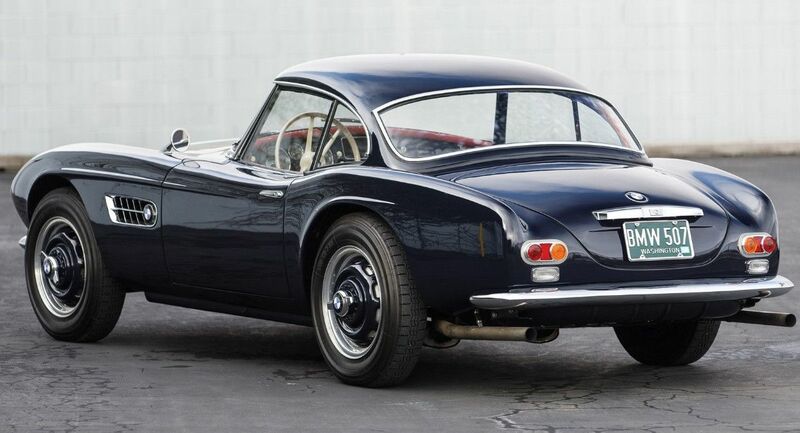 While BMW would have eventually recognized the performance capabilities of its engineering, or how the American market’s thirst for fast, beautiful, open two-seaters had not yet been quenched, it was Hoffman who spurred on the effort, by demanding stylish machinery that would bridge the divide between low-priced MGs, the Porsches, and the pricey 300 SL in his lineup. 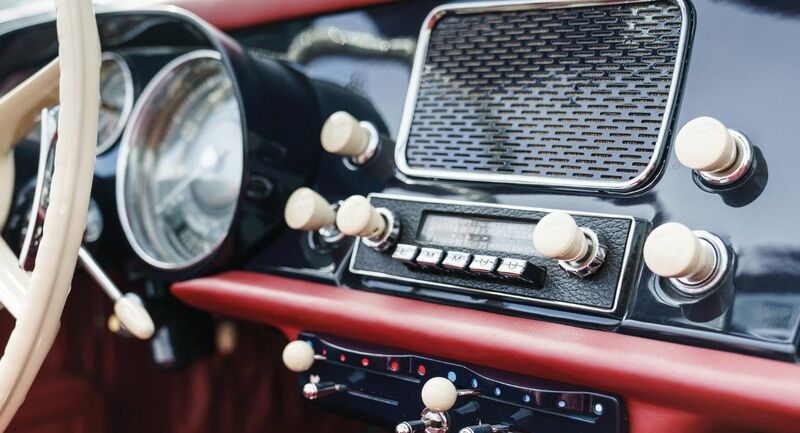 The 507 would utilize the best of Bavaria, with mechanical components sourced from the 502 and 503 series, including a 3.2-liter, overhead-valve aluminum block V-8, which had been improved with twin carburetors in order to produce some 150-plus hp. It was Max Hoffman who had final approval of the design, so he requested the services of Count Albrecht von Goertz, a protégé of famed industrial designer Raymond Loewy, whose futuristic themes for Studebaker in the early ’50s had caught Hoffman’s discerning eye. For Hoffman and BMW, Goertz imagined some of the most beautiful lines ever folded into metal. The 507 was hand-built at a price that eventually reached over $11,000, which was a towering sum for any car at the time, and it was discontinued after only two-and-a-half years and 252 examples. 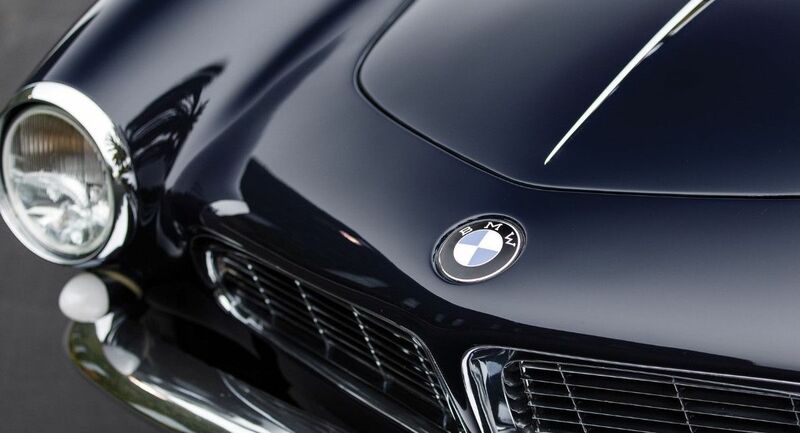 The basic lines of the 507 went on to inspire one of the greatest modern BMW designs, including the Z8, which became its spiritual successor in the carriage houses of the wealthy and stylish. 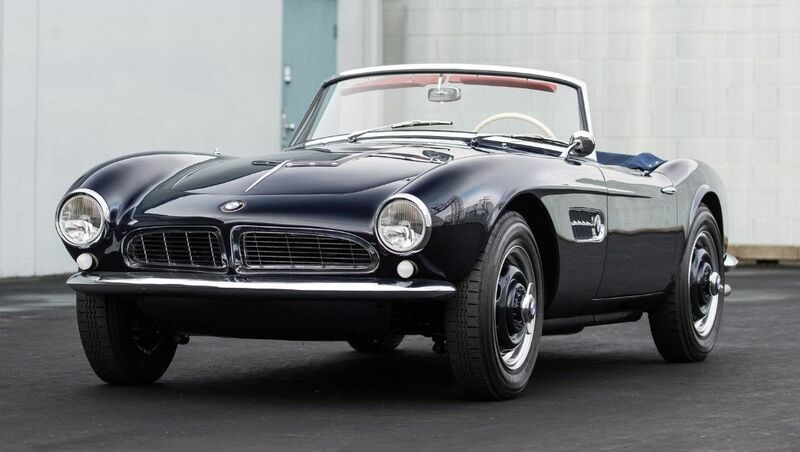 This BMW 507 roadster is a later series II example and was completed and delivered on 10 July 1958 to G. Dagmar in Munich, Germany. The car was originally finished in Spring White and included the attractive removable hardtop. The car was then sold to Werner Preis in Dusseldorf. 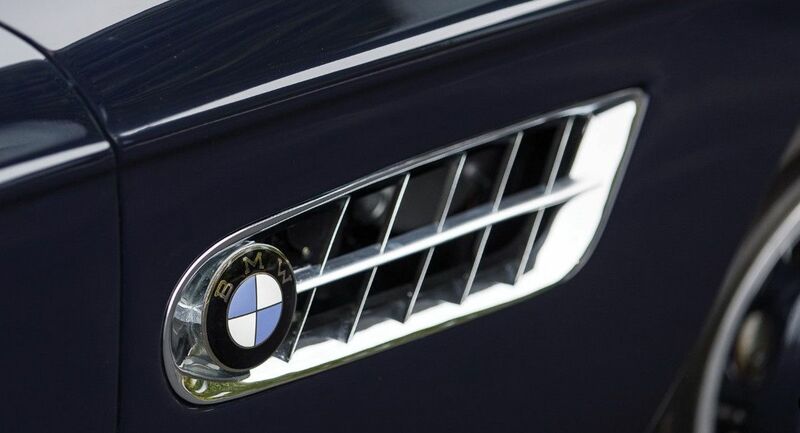 According to BMW Group Archive, at some point in the car’s life, it was fitted with a replacement 160-hp engine which was stamped with the original number. The original engine is believed to exist in another 507 in Europe. In early 2000, the car was discovered by Charles Crail and sold to Microsoft Vice President Rick Thompson of Bellevue, Washington, who was in search for a Pebble-Beach restoration candidate. 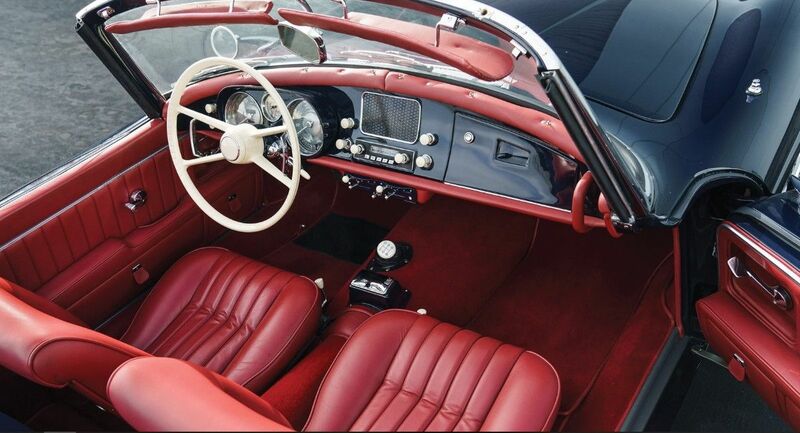 At the time the car was finished in white with a black leather interior and with 77,000 km (48,000 miles). The car was shipped to John Giles at TT Workshops Ltd. in Westbury, England, for a complete body-off restoration. 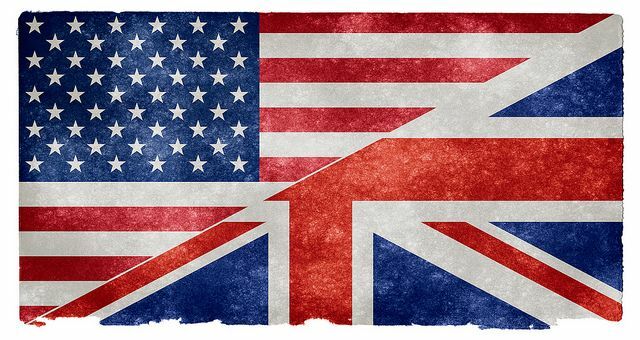 Upon delivery, Giles noted that the car was, “a very nice, well-maintained automobile. 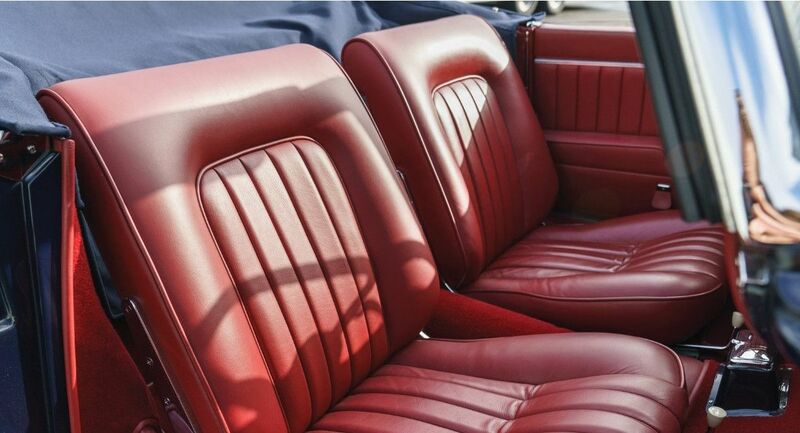 Very complete, and virtually all parts correct.” This made for an excellent starting point for a Pebble Beach quality restoration, which was completed over a two-year period. The engine and gearbox were completely rebuilt at this time. The concours quality restoration was featured in the July 2002 issue of Roundel, the publication for the BMW Club of America. Upon completion, the car was shipped to the U.S. in July of 2002, just in time to partake in the Pebble Beach festivities the following month where it participated in the Tour d’Elegance as well as the Concours d’Elegance. In February of 2003, Mr. Thompson sold the car to a private collector. Under his ownership the BMW was driven roughly 2,000 miles and attended numerous events, including the Kirkland Concours in 2007 and 2008, winning 1st in Class both years; campaigned in the 2008 Copperstate 1000; and The Allure of the Automobile at Portland Art Museum in July 2011. 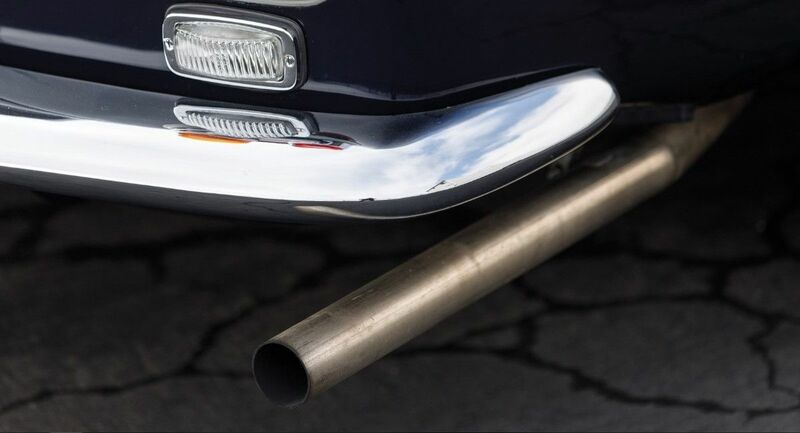 During this ownership, the car was well maintained by Vintage Racing Motors of Redmond, Washington. In August of 2014, the car was acquired by another private collection. 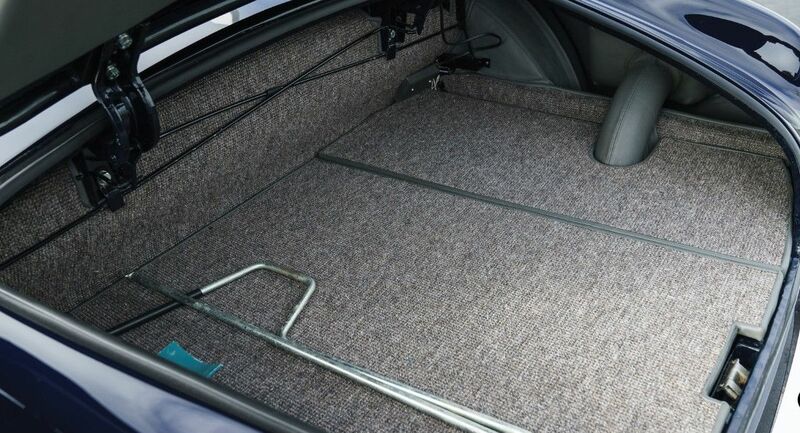 The current owner has enjoyed the car, choosing not to show it but always keeping it well maintained. 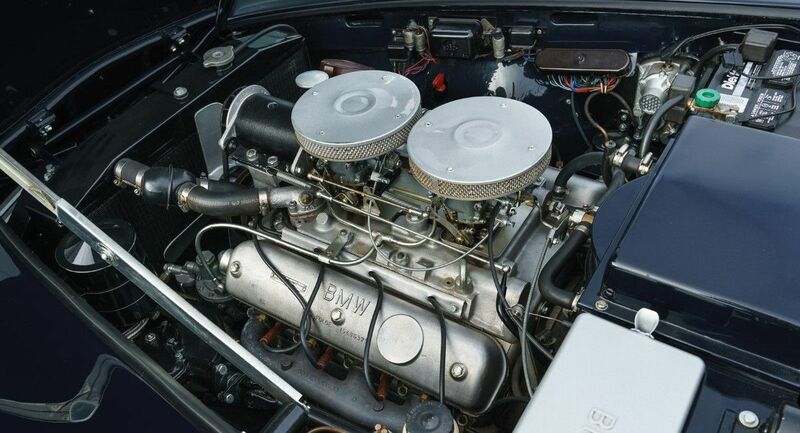 The BMW 507 has benefitted from an annual service each year, while addressing any maintenance items that arose. The 507 remains in splendid condition, with its restoration holding up very nicely. 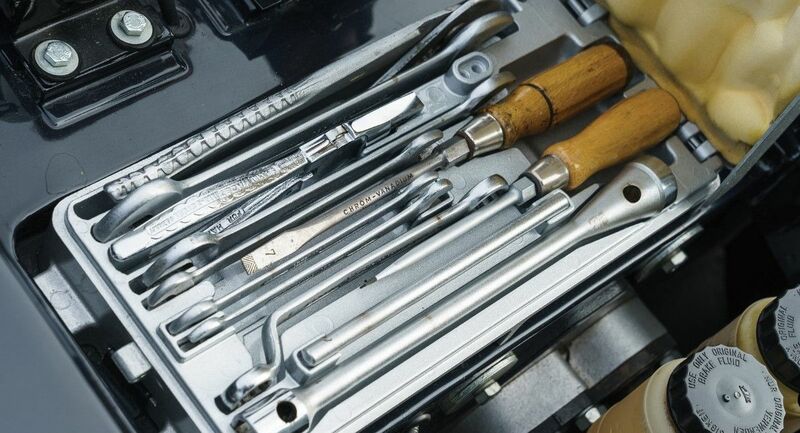 It is accompanied by a complete tool kit, three volumes of documentation, including restoration photos and invoices, as well as a convertible top boot cover and tonneau cover. Presented in Midnight Blue with a color-matched hardtop over a red leather interior, this 507 is a wonderful example of the marque. Featuring reliable disc brakes and a five-speed gearbox, this classic German sports car is a very usable classic, ideal for road rallies and vintage touring. BMW models like this have long since disappeared, and between the new models only the M models are approaching this level in a driving experience, such as the BMW M2. This is a very rare BMW, which is worth even more than the famous Mercedes 300 SL „gullwing”, according to the value given by the appraiser. According to the factory data, the car's acceleration (0-62 mph = 0-100 km/h) is only 11.1 seconds and a top speed of 122 mph “196 km/h” (with original engine – Wikipedia info). The information comes from the car description and the Wikipedia.